Almost three-quarters of CIOs will change their IT outsourcing relationships in the next three years as digital business continues to drive corporate strategies and the supplier landscape changes. More and more businesses are changing how they operate by adopting digital technologies, and incumbent suppliers and contracts are not always capable of enabling a digital transition. CIOs will increasingly look for suppliers that can help them adopt digital technologies and will contract appropriately. Gartner analyst Eric Rocco said CIOs are “strongly” considering changing the providers they work with as part of this change. “Market share will shift to service providers able to help clients respond to the business and IT opportunities and challenges that are overwhelming more than half of organisations today. Service providers need to convert this picture into an opportunity rather than a threat,” he said. "The digital business revolution is underpinned and enabled by the macro technology forces of cloud, social, analytics, mobility and the internet of things. Not every business fundamental will need to change to the same degree, nor will every technology driver have a role to play in every business scenario, but businesses that decide to 'wait and see' are likely to become irrelevant," said Rocco. Gartner said suppliers need to change the way they do things while helping their customers to do the same, which presents “significant challenges with equally significant opportunities and risks”. The IT buyers will change as trends such as consumerisation give parts of the business other than IT share of the budget for business technology. "IT spending buying centres across industries have steadily shifted away from the central IT function and to business buying centres," said Rocco. "Service providers of the future will articulate value in business terms, such as key process outcomes and impact to key performance indicators [KPIs]. Doing so requires deep vertical industry knowledge and new go-to-market models." Gartner said the overall IT services market will grow 4.6% in 2014. Hardware support is among the lower-growth opportunities in the IT services market. 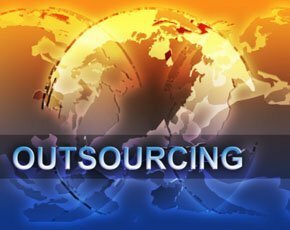 Through proactive and multi-supplier support models, these services will increasingly collide with outsourcing services. It said cloud-based infrastructure as a service (IaaS) and business process as a service (BPaaS) are the two fastest-growing segments, expanding 44.9% and 12.4%, respectively, in 2014. Traditionally conservative sectors are moving to digital, which will challenge how they deal with outsourcers. Mark Lewis, outsourcing lawyer at Berwin Leighton Paisner, said he is seeing “grown-up” companies in the insurance sector move rapidly to digital customer relationship management. He said this involves the use of multiple suppliers and changes to KPIs.